You've reached a service anniversary milestone! Please keep on inspiring us throughout the years that are going to come. 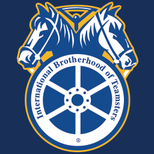 We hope you know just how much we need you, respect you and value you as a Teamster. Congratulations!! Please complete and submit the form below and your Teamster service pin and certificate will be sent to your home. We apologize if you never received or requested a pin in the past, but we have a very limited supply, so please choose only one service pin.